The Lexington School's 8th grade is the capstone year. This project is a culmination of work in character skills (Mission Skills) with a focus on teamwork. Merriam-Webster Definition of capstone. 1 : a coping stone : coping. 2 : the high point : crowning achievement. The capstone of her career. The Lexington School definition of Capstone. 1 : research project. 2 : performance 3 : meaningful and true collaboration. What does it mean to collaborate? And how do you teach kids to do it well? People who work productively in the 21st century know how crucial the skill of collaboration is, yet most of us went to school during a time when the teacher was the “sage on the stage” more than groupwork facilitator. Maybe we remember group work as perfunctory, group work for the sake of group work with very little individual accountability. Maybe our role one of controller or slacker or frustrated, quiet bystander in a broken project that came down to the very last minute. Stressful. Moving into “the real world,” we were left with a bad taste for “collaboration” and would prefer to go it alone. And then we realized how often in this “real world” we need to work as an effective member of a team. The 8th Grade Capstone Project at The Lexington School is thoughtfully planned and managed for the the highest quality educational experience and outcome. Here’s a lesson plan you can follow. Choose your groups strategically. Group members should come with a variety of skill sets. Diversity of talent and perspective in the group will make the experience more challenging and the outcome will be better. Define project outcome clearly. Students need to know broad parameters of the project and specifically what is expected. How long? How much technology? How many sources? Costumes, yes or no? Give the project meaning. 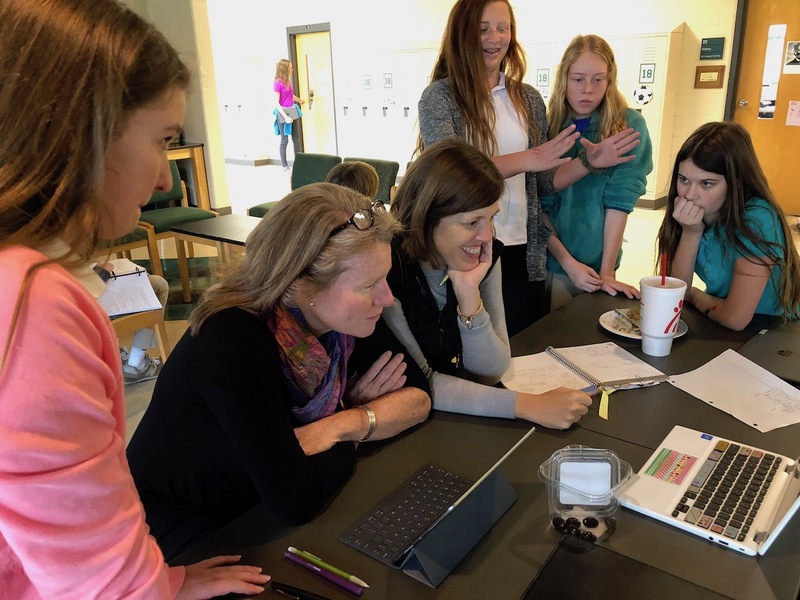 The topics for Capstone Projects at The Lexington result in a production/educational outcome that teaches the entire middle school an interesting topic that relates directly to middle school life. The topic is about them for them. Assign Mentors who provide guidance, milestone markers, and accountability for the the group. Checklists teach process and keep them on track. Allot time for guided research and development during the school day. School is student work time. Structured time during the school day allows time with mentors and avoids the many conflicts and frustrations of finding time outside of the school day. Allow peer evaluation. If students know that their work ethic and collaborative style is peer-monitored, personal productivity is heightened. Build towards the production but evaluate process in equal measure. While assigned mentors report on process, all mentors evaluate group culminating performances using a rubric designed to illuminate the success of the overall Capstone educational experience. Overall Capstone Educational Experience: Whether it’s the ETHICS involved in taking care of each other, the CREATIVITY that comes from choosing the topic, writing the script, problem-solving the glitches, the RESILIENCE of practice to make perfect, the TIME MANAGEMENT of checklists and deadlines, the CURIOSITY that springs from research, or the TEAMWORK that rises from weeks of daily meetings and peer correspondence, the Capstone Project challenges every single 8th grader to be his/her best. It pulls together those crucial character skills (Mission Skills) and it gives true meaning to the art of collaboration.